Jean Schlumberger was a French jewelry designer especially well-known for his work at Tiffany & Co.
On June 24, 1907 Schlumberger was born in Mulhouse, France to a well-to-do family involved in textile manufacturing. He sketched constantly during his youth, but his parents tried to discourage his artistic interest by refusing to allow him to undertake formal training. Schlumberger began his career creating buttons for Elsa Schiaparelli in the 1930s. Schiaparelli later commissioned him to design costume jewelry for her firm. During World War II, Schlumberger was in the French Army and survived Dunkirk. He also served under General Charles de Gaulle in England and the Middle East with the Free French Forces. After the war, Schlumberger came to New York and began to design clothing for Chez Ninon. In 1946, he opened a jewelry salon with partner Nicolas Bongard (1908-2000). In 1956, the president of Tiffany & Co., Walter Hoving, asked Schlumberger to begin designing for the firm. He had his own workshop at the company until his retirement in the late 1970s and was eventually made a Vice-President. Schlumberger's designs at Tiffany & Co. were remarkable for their whimsical interpretations of natural forms. He was especially inspired by sea creatures and other animals. Diana Vreeland wrote that Schlumberger "appreciates the miracle of jewels. For him, they are the ways and means to the realization of his dreams." 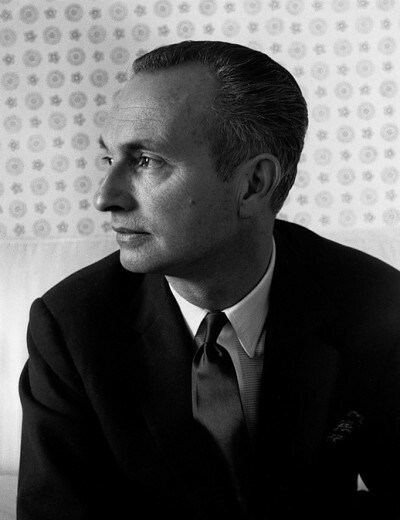 He was a very good friend of Cristóbal Balenciaga, Emilio Terry, Diana Vreeland and Hubert de Givenchy. One of the most famous pieces that Schlumberger created was the mounting for the famed Tiffany Diamond, which was in the firm's collection since the nineteenth century. The brooch, entitled "Bird on a Rock", incorporates the impressive 128.54 carats (25.71 g) yellow diamond in a fanciful setting typical of Schlumberger's style. Schlumberger died in Paris (August 29, 1987) and is buried at Isola di San Michele. Schlumberger remains one of only four jewelers that Tiffany & Co. has allowed to sign their work: the others are Paloma Picasso, Elsa Peretti and Frank Gehry. He quickly built an impressive client base that included John F. Kennedy, the Duchess of Windsor, Babe Paley, Greta Garbo, Rachel Lambert Mellon, C.Z. Guest, Gloria Guinness, Françoise de la Renta, Princess Marina, Duchess of Kent, Lyn Revson, Gloria Vanderbilt, Elizabeth Taylor and Audrey Hepburn. Jacqueline Kennedy wore so many of Schlumberger's bracelets that the press dubbed them "Jackie bracelets".